How do we know our School Superintendent is probably doing okay? Well…seen any cartoons like this one lately? Is this how we should choose leadership in hard times? Although there were ominous rumblings of discontent and causes for worry, this was a relatively short and quiet meeting of the Prince William County School Board. Author’s note: PWC School Division’s website is oddly integrated. The school division does not make it easy for bloggers to link directly to documents on their website. So if you are interested in more details, you will have to find the document yourself. Fortunately, that is relatively easy. To find out more details about the last school board meeting, go here and look for the topic under the Electronic Agenda (November 18th). Note that a video of the School Board’s meetings is available here. Pastor Al Marguerat of Triangle Baptist Church, Triangle, VA, provided the blessing. Pastor Marguerat provided an appropriate prayer of thanksgiving. He thanked the Lord for the Earth’s beauty and for the good that is accomplished by the PWC School Division. Three Right-of-Way and Easements for Road Improvements at the 11th High School. These real estate transactions altogether cost $89,499. Disciplinary Committee Minutes – November 5, 2008. Several members of the School Board met together as a disciplinary committee to consider the expulsion of a specific student. Note that one item, Safe Schools Advisory Council Charges for the 2008-09 School Year, was removed from the Consent Agenda by Julie Lucas. This item was discussed. Five citizens spoke out against the Math Investigations (MI) program. The first MI opponent, a parent of a 2nd grader and a 5th grader, displayed an example of a 5th grade problem. His point was that the MI program provides highly inefficient algorithms. Traditional math algorithms are more efficient and reliable. He wants the MI program scrapped, and he wants his 2nd grader back into a traditional math program. He compared the MI program to snake oil. The second MI opponent, a parent a 2nd and 4th grader, complained about her children’s math instruction. She compared the MI program to kindergarten work. She does not believe the MI program is properly preparing her children. She also has a 6th grader in the PWC School Division. This child has been taught math using traditional methods. She is quite please with the progress of her 6th grader. The third MI opponent referenced the MI opponents’ website, Teach Math Right. She explained that this website receives email from other parents interested in opposing the MI program, and she read one the letters. In this letter, the parents of a former PWC elementary school student explained the difficulties they encountered when their child transferred to a North Carolina school. The MI program had not prepared their child for a traditional math program. Although their child had been regarded as a good student, their child was behind and they had had to hire a tutor. The fourth parent cited presentations that the board had received demonstrating that MI program was not needed and is in fact creating problems. His most surprising example was the November 5 presentation (see here) by Kati Haycock, President of The Education Trust. 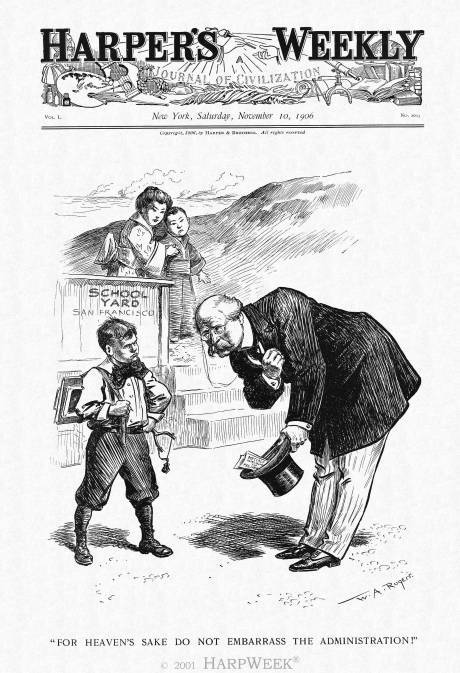 He correctly noted that Haycock said that the American public school system is most grievously failing secondary school students whereas elementary school students are making good progress. The fifth parent speaking out against the MI program said five percent of the parents with elementary school children have signed a petition against the MI program. She said the PWC school division should offer parents a choice. Parents should have the choice of putting their children in either the traditional math program or the MI program. The blended program mixing Math Investigations and Traditional Math is not working. She saw the blended program as an ill-considered afterthought. Author’s note: Dual tracks, one track being MI and the other being traditional math, is possible, but I suspect it is unlikely to succeed. The school administration will most likely claim dual tracks would be too costly and argue that the money is not available; dual tracks would supposedly require more administrative support. With shrinking revenues, various groups will be out in droves to protect existing programs. In fact, if the economy founders as badly as I fear it will, I wonder if the voices of the parents opposed to MI will even be able to make themselves heard. In the long run, I hope MI opponents adopt a different tack. For all practical purposes, the School Board is not the opposition. Most of these people are parents with children in the schools. Like most of us, they too are puzzling how to make public education work. 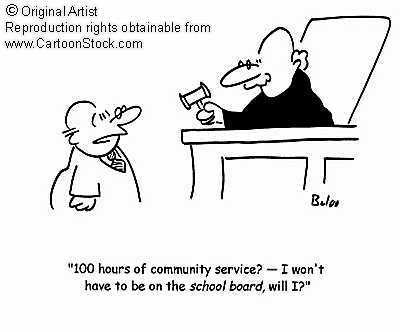 Consider that the School Board is at the bottom of the pecking order. 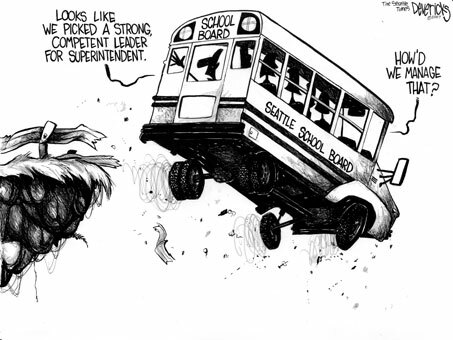 Currently, the State government has the bulk of the authority, and the School Board has most of the responsibility. The Virginia state government has clear and almost unchecked authority over local governments. Constraints on the School Board are likely to increase. With the new Federal regime, the teacher unions will fight for more Federal dollars. With these dollars come more constraints. Undoubtedly, Federal constraints will be aimed at checking any effort that the School Board might make towards giving parents — and teachers — a choice. For example, there has been some discussion of charter schools. Discussion is all there has been. Even though we have a strong Republican majority on the School Board, State regulations are such that the board has strong disincentives to take the risk. So we still have few charter schools in Virginia. So what is the solution? My guess is that the solution is education. As ironic as that may sound, I think the only thing we can do is educate the educators. Because they have a death-grip on public education, we have to convince the people teaching our children in the classroom that educational choice will benefit of everyone, including them. What would result if we had a strong charter school movement or education vouchers in Virginia? Parents would have a choice. You don’t like Math Investigations? Other parents cannot stand it? If the state was serious about charter schools or educational vouchers, such dissatisfaction would give entrepreneurs all the incentive they need to provide parents the alternative of traditional math. Teachers would have a choice of employers. Choice would give talented and dedicated teachers the option of working for private employers (now with the funds to pay them) who would place the greatest possible value on their skills. Two other speakers spoke in favor of making January 20, 2009, Inauguration Day, a holiday. One suggested the expedience of using a snow day (which as a Republican I thought quite appropriate). Most of the issues discussed during Board Time were merely minor policy revisions and not controversial. Because one policy, named Corporal Punishment, sounded interesting, Lattin took the time to explain that this policy continued to ban corporal punishment. Four of these policies came up for a vote, and the board approved them without dissent. Another policy, also received considerable discussion, Safe Schools Advisory Council Charges for the 2008-09 School Year. The purpose of this policy is to provide guidance for the Safe Schools Advisory Council. After item number five in the new policy was deleted, the new policy was approved. Item five, which covers the procedures for safety audits, will be revised for latter inclusion. The end of each board meeting provides time for board members to address their individual concerns. Lattin spoke to his concerns about the budget. He said the Board of County Supervisors currently intends to cut revenues significantly. This would cut the School Board’s budget, relative to the current five-year plan, by about 108 million dollars. Prince William County supervisors unanimously approved budget guidance Tuesday that would amount to a $600 tax cut for the average homeowner. Lucas noted that she had talked to VSBA personnel about the matter discussed at the last School Board meeting (see here). Contrary to what Richardson had reported, her VSBA contacts said that the VSBA had not put the “kaboosh” on the presentations planned by the Prince William School Division and the annual NSBA conference. Instead, the NSBA itself disapproved of the PWC School Division’s seven proposed presentations. Otaigbe asked Superintendent Walts to provide a status report on the blended MI program. Johns added to Lattin’s comments. He said next year’s budget situation will most likely be the worst seen in a generation. I am one of the parents who spoke out at the school board meeting regarding the county mandated Investigations based math program. I believe that the program fails to provide my child with an adequate education. I am not alone in that belief. The survey the county conducted last year and released this fall revealed many things which were not released to the public. Approximately 13% of K-3 parents preferred an alternate program based on a traditional text. More than 1/3 of K – 3 parents were dissatisfied with the Investigations based program. The percentage dissatisfied with the program increased each year and by grade 3 almost 50% of parents believed the program failed to meet their children’s needs. Even more telling was the teachers view of the program. Almost 2/3 of grade 3 teachers believed that the program failed to meet their students needs. And thn there’s the test results. SOL scores were stagnant in pass rates and dropped slightly relative to the state in students achieving an advanced score. Many schools saw both their pass and advanced rates for math and reading drop sharply (Cedar Point, Bristow Run, Victory, and Nokesville are among the western PWC schools which saw significant drops). SDMT results put us at average for the nation. Not exactly a rip roaring success, and in some places an unmitigated failure. So what’s the school system to do? They’ve got a bunch of parents and teachers who have no faith in the program but an equally large bunch of parents and teachers, backed by the school administration, who do have faith in the program. Dual tracks, with parents choosing which track their child will follow, seems to me to be the only viable solution. And here’s the best part. The old textbooks – the ones that Investigations replaced – are still available. The county could pull them out of storage and use them and it wouldn’t cost a thing. 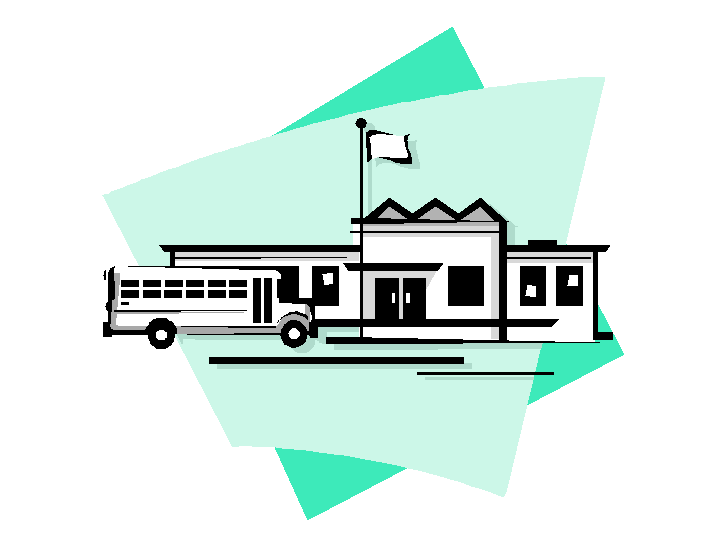 In fact, because Investigations materials have to be purchased for every grade 5 classroom at a cost of about $1000 per classroom and annual student workbooks have to be purchased for every student at a cost of $17 per student for over 33,000 students, the county would actually save money by offering an alternate track because no materials would have to be purchased for students enrolled in the alternate track. Is using the old textbooks ideal? No. Absolutely not. There are lots of state approved texts that I’d prefer over the old books. But in my opinion the old books are better than Investigations and using them is the only feasible option considering the budgetary constraints the schools are under. School administration isn’t going to implement dual tracks unless the school board orders them to. They’ve delivered a program they believe is effective, no matter what parents say. The only way dual tracks will be implemented is if the school board directs the school administration to do so. The decision whether to support parental choice or not is all on them.